Hair thinning and loss are more common among men, but tens of millions of women in the U.S. experience it too. Changes in your hair fullness can result from a number of factors, including hormonal changes (like from pregnancy or menopause), protein deficiency, thyroid disease, low vitamin levels, alopecia areata, certain medications, damaging hair treatments, even stress. So it probably comes as no surprise that the American hair-growth market is pretty huge, mostly thanks to mass manufacturers' ability to package hair-growth ingredients and sell them on accessible retailers—like Amazon. There are scores of hair-growth products on Amazon, from supplements to shampoos and conditioners to devices (you'll see what we mean in a second). We combed Amazon to discover the highest-rated, best hair-growth products the e-retailer has to offer. Want to make your hair grow? Keep scrolling to read about the 13 we found. 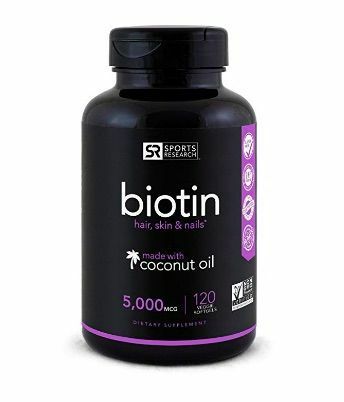 These soft gels feature high-potency biotin contained in cold-pressed coconut oil for better absorption, and over 8000 Amazon reviewers agree they really work. After taking them for three months, one user wrote, "Not only did my hair get healthier, longer and thicker 10 times faster but it has also helped with my skin and I break out way, way less than before." 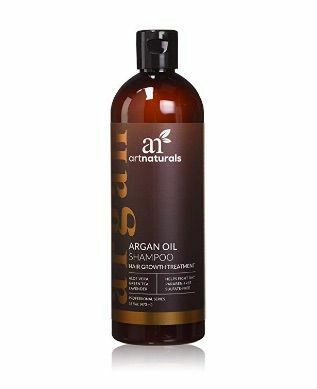 Argan oil, aloe vera, white willow bark, burdock root, rosemary, and thyme are the key ingredients in this all-natural, growth-stimulating shampoo. Users report that after only about a month of use, they noticed new hair growth, less shedding, and a healthier look and feel to their hair as well. 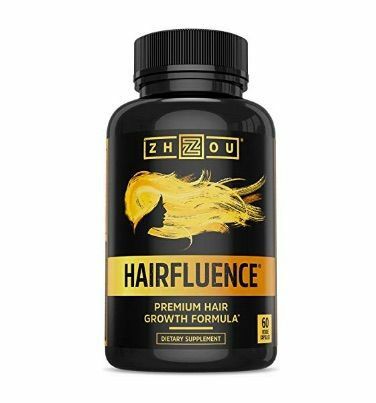 If nutrient deficiency might be the cause of your hair loss, try this nutrition-packed supplement, which contains biotin; bamboo extract; collagen; keratin; folate; vitamins C, B12, and A; and more. "I've been using this product for two months and can see some improvement in the thickness and definite improvement in the feel and ease of styling," wrote one reviewer who started losing her hair after pregnancy. "I don't expect miracles in 2 months and a mane full of luscious hair but hopefully that's in my future if I continue using it… which I will!" "I have been using this for just one week and I love how my hair feels—soft and bouncy!" one Amazon reviewer raves of this all-natural, growth-boosting duo. The clarifying shampoo contains ingredients like peppermint, spearmint, and eucalyptus mint help minimize dandruff and soothe the scalp. 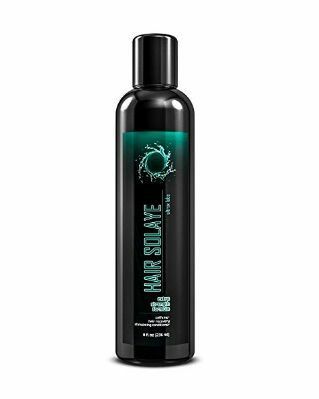 Then the conditioner contains aloe vera, argan oil, jojoba oil, amino acids, and antioxidants to strengthen and soften hair and promote growth. 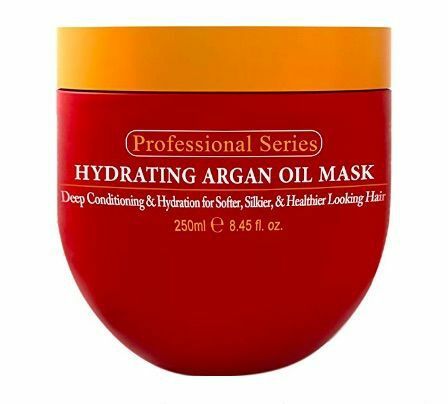 Thousands of Amazon reviewers have used and loved this affordable mask, which repairs and strengthens thinning and color-damaged hair. "My hair was damaged very badly from years of [dyeing] and bleaching," one reviewer explains. "My hair was very thin and brittle to the point that running a brush through my hair was causing it to break. … After using Arvazallia the first time I noticed that it had already started helping. 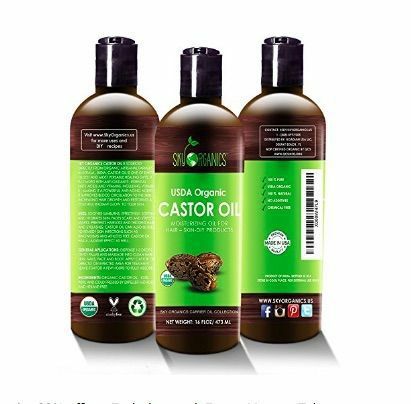 After about five treatments my hair was silky smooth, thick, hydrated, and had volume I had not seen since I was a teenager." 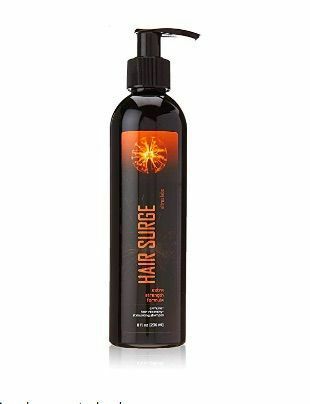 A combination of raw oils including coconut, olive, jojoba, and more, plus a bunch of plant extracts, makes this nutrient-rich elixir effective for hair growth. Just apply five to 15 drops (or 20 for thicker hair) on wet strands and scalp before drying. 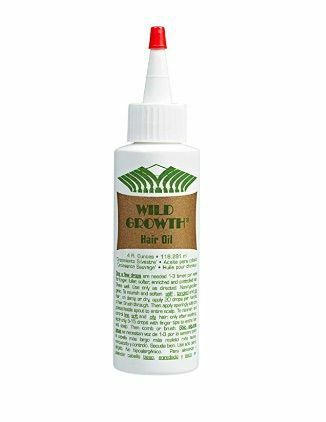 As one reviewer writes, "This product is fantastic and has my hair growing like wild." 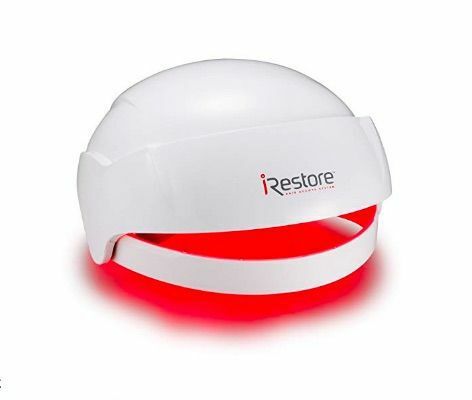 This laser and LED light-therapy helmet is astronomically expensive and very sci-fi looking, but it's FDA-cleared, comes with a six-month 100% money-back guarantee, and hundreds of Amazon reviewers swear it helps with baldness, shedding, and hair thinning. "My hair has had such a positive reaction to this device, I almost cannot believe what I am witnessing," one user wrote after just two months of use. 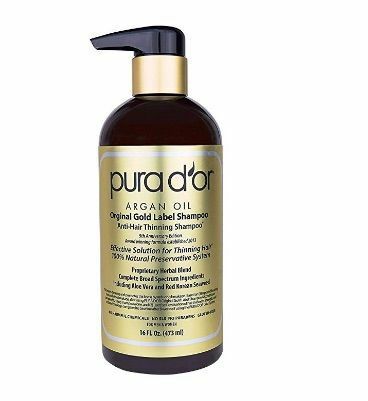 Biotin, argan oil, niacin, and antioxidants are the key nourishing ingredients that give this shampoo its high rating. "This product helps my hair feel thicker and fuller," writes one formerly thin-haired reviewer, who also attests the product helps with shedding. SugarBear is all the rage on Instagram, and Amazon reviewers are fans, too. A combination of growth-boosting ingredients like vitamins A, C, D, E, B6, and B12; folic acid, and biotin is what has earned these gummies their cult following. "My hair was falling out in clumps and getting super thin in the front. 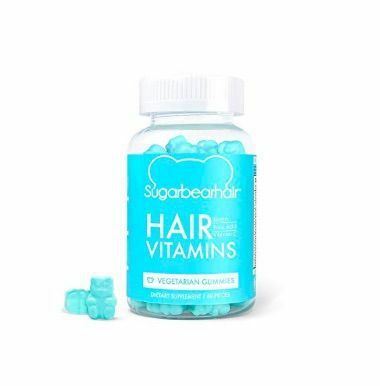 On the recommendation of my hair stylist, I ordered SugarBearHair," one user writes. "I have tons of new hair growth. So pleased and, they taste amazing. I have trouble limiting myself to the recommended dose!" Team Byrdie swears by 100% pure organic castor oil for eyebrow, eyelash, and head hair growth, and so do over 4000 Amazon reviewers. To make an effective hair mask, mix the product with jojoba oil and peppermint essential oil, apply it to wet hair, wait 15 minutes, and then shampoo and condition as normal. 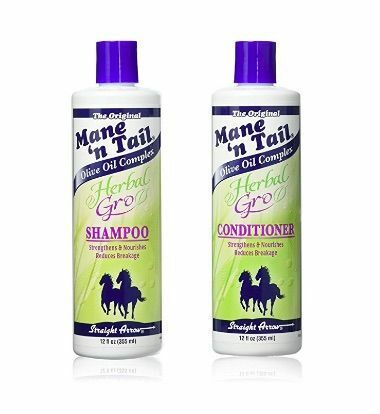 According to some Amazon reviewers, this protein and natural herb–rich duo of shampoo and conditioner leaves their hair thick, bouncy, and enhances growth. Users don't recommend it for oily hair types. This potent hair growth shampoo's unique formula contains caffeine compounds, ketoconazole, and saw palmetto, which have been shown to stimulate the life cycle of hair follicles, thicken hair, and block the production of a hormone that causes baldness. Over 5000 Amazon reviewers attest to its efficacy. 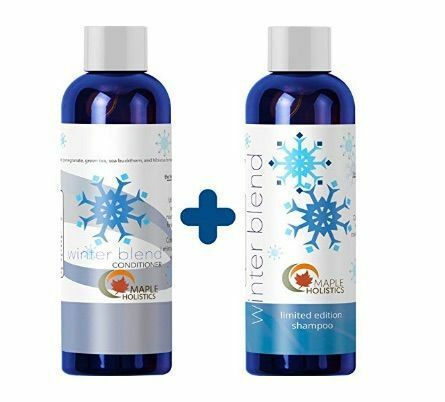 The partner to the shampoo above is this soothing conditioner, which also contains caffeine as well as nourishing jojoba and strengthening chamomile extract. Next, read about the small change that made one Byrdie editor's hair grow faster.